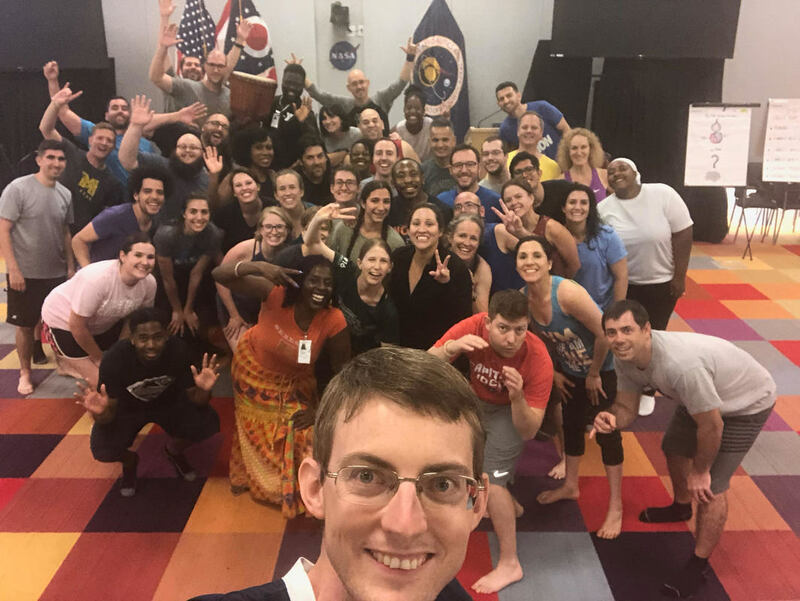 Our recently launched Corporate Wellness program has been picked up by NASA, and we performed our first Professional Development workshop on Wellness and Authenticity in August 2018. This budding program is an extension of our 20 years of work with at-risk youth, developing team building, social trust and interaction, wellness and self-confidence. Our corporate program includes drum circles, wellness workshops, corporate speaking engagements and more! Find out how African Soul International can help you reach your performance goals and increase productivity and cohesion through an authentic artistic experience!